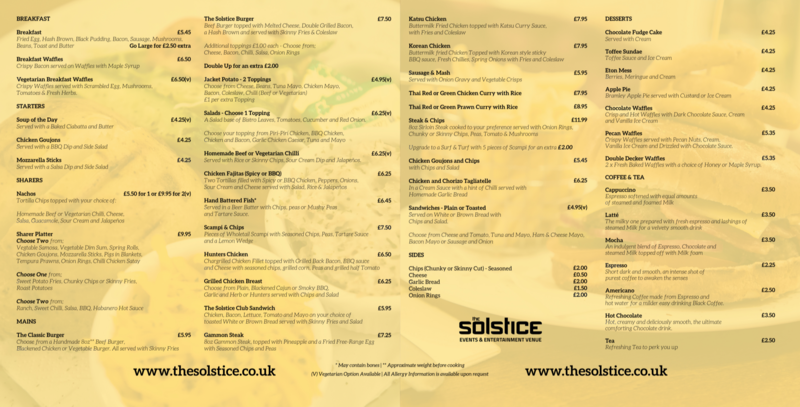 Take a look below to view our full menu. Our menu caters for all, from a hearty breakfast to a quick pub lunch all available whilst chatting with your friends, either indoors or out. Check out our amazing new Lunch Club to get 15% off your total food and drink bill between 11.30am to 2.30pm Monday to Friday's at The Solstice & Harry's Bar Cafe.